Each year Pantone releases their Color of the Year. The announcement is sought after the world over, as the colour quickly ascends the rainbow to the “it” colour, weaving its way into our homes, onto our clothing, and into the shades of our eye shadow. So what is this year’s Color of the Year, you ask? 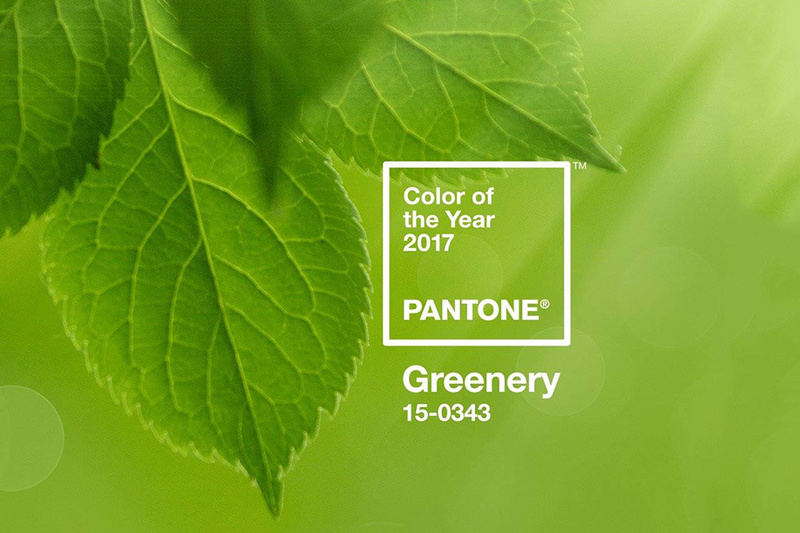 Pantone’s Color of the Year for 2017 is… drum roll, please… Greenery! This bright-like shade of green, reminiscent of Granny Smith apples or fresh-cut grass, will soon be popping up on every street.